We are in Frascati, a beautiful town of the Castelli Romani, on the famous Colli Albani, the hills around Rome. 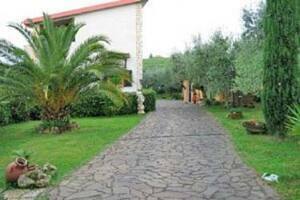 Villa Baiera, is a ideal residence for family with children: the property is closed with an automatic gate, and the children can play in the big garden of 2000 m2 of the house. 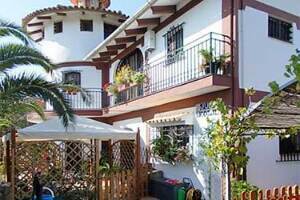 We have apartments for 2 or 4 persons. Every apartment has private parking next and a private area with table and chairs. 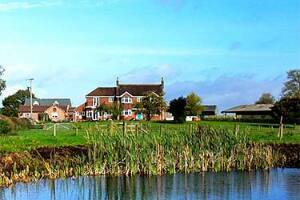 Shaminir is a fine, recently built, 5 bedroomed house that has been fully Bord Failte approved. All our rooms have a private bathroom, are tastefully designed and decorated with beautiful colour co-ordinating schemes. We offer a choice of twin, double or family rooms (sleeping 4), and a choice of continental, full Irish or smoked salmon breakfasts. 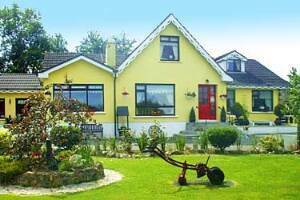 At Shaminir we have successfully combined modern facilities with a good old fashioned warm and welcoming Irish family home feel, and we can offer probably the best view in Ireland with our own trout lake in the front garden. The picturesque town of Kenmare is 3 miles away and offers all the attractions of a lively traditional Irish town. Irish music and ballads are played most nights in the bars and restaurants scattered throughout the town. Ideal for touring the internationally famous Ring of Kerry or the rugged and dramatic Beara Peninsula with stunning views around every corner. 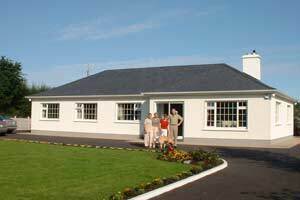 Located near some of Ireland's finest golf courses such as Killarney, Waterville, Ballybunion and Tralee. 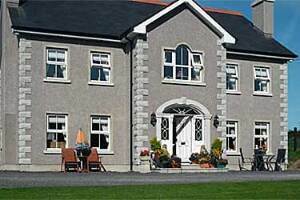 4 star failte ireland approved country house. located 1 hour from Dublin international airport, home cooking a speciality, surrounded by peaceful countryside, including numerous lakes and forest parks. 2 local pubs nearby . 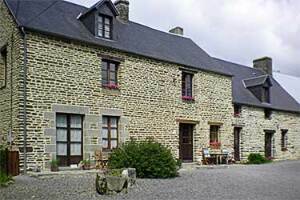 self catering cottage available. dinner served each evening accompanied with fine wines.peaceful nights sleep guaranteed. 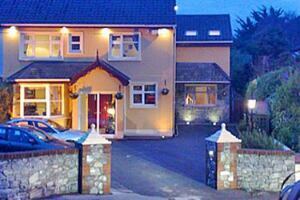 Modern family run bed and breakfast situated in Inch which is nestled between Gorey and Arklow. All rooms ensuite with t.v. tea/coffee and hairdryer. Complimentary tea/coffee on arrival with home baking. Orchard House B&B is a luxury, town centre accommodation in quiet location just off the high street. All rooms have bathrooms, are individually decorated with satellite TV and all mod-cons overlooking an award winning garden. Free private parking on site and Free Wi Fi connection. Free pick up from bus and train station. The owner Marie is a Killarney local and grew up on High Street in a popular restaurant. With over 40 years experience in the hospitality sector, you're assured of a warm welcome upon your visit to Orchard House B&B. In Irish language this is referred to as Cead Mile Failte (which translates to 1000 welcomes to you) Cash is payable on arrival. Early check in welcome. Open all year round. Killarney has it all from fantastic nights out to the beautiful Lakes of Killarney. Killarney offers a great base for those interested in travelling the Ring of Kerry. Drivers please note: Travel anti-clockwise round the Ring of Kerry to minimise traffic problems on the narrower sections of road. Careful some sat nav GPS systems have been directing traffic in a clockwise direction. Welcoming home situated on the outskirts of an "old market" town - Newcastle West. Shanagarry B&B is on the main road (N21) to Limerick, Tralee and Abbeyfeale, so it is easy to find us. Tea/Coffee & cookies are served by the host Nuala on arrival. 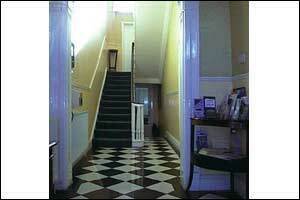 As our B&B is a bungalow you have no stairs to climb making it easily accessible when carrying heavy luggage. 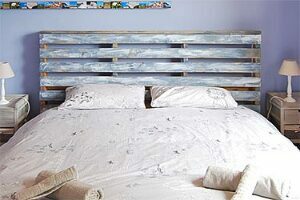 Comfortable beds to ensure a good nights sleep. Breakfast: Juice and a variety of cereals are available as well as fruit, yoghurts and cheeses. Breakfast is ordered the night before and choice includes sausages, bacon, eggs, black/white pudding & tomato, or you may prefer a lighter option such as scrambled eggs on toast/beans on toast, crackers and cheese. Tea/Coffee/Herbal Teas & Nualas homemade brown soda bread with jams & marmalades all complete a hearty breakfast. Guests are welcome to use the garden at the rear of the house - Garden Table, Parasol and reclining chairs to relax after a hectic day's sight seeing. "Award winning" 4 star property by Failte Ireland(Irish Tourist Board). A Beautiful detached family home located in the village within walking distance of all amenities. 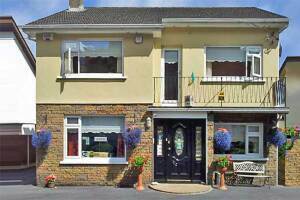 Tastefully decorated, and in a prime location at the very Centre of Swords Village Tirconaill B&B is a 5 star member of the B&B Network. All our rooms are ensuite with TV, Hairdryer and Tea and Coffee making facilities, also complimentary WiFi in all bedrooms. 24 hour Taxi service to Airport is 10 Euro We are 7 doors off the main street where there is an excellent variety of restaurants to choose from, for example : Chinese/Japanese, Thai, Indian, Italian and a fantastic fully licensed Steak House( all 2 minutes walk from our BnB) All the pubs do great bar food and the early bird menu is brilliant value. 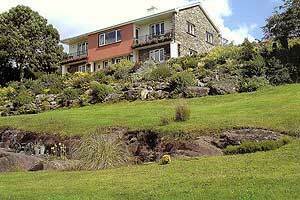 A family run B&B situated in its own delightful valley , catering for Mountain Bikers , Hill walkers and short breaks.